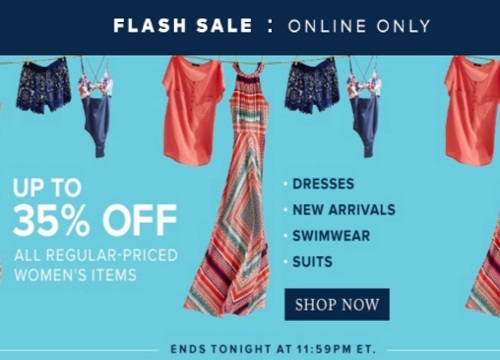 Hudson's Bay has a Flash Sale today! Save up to 35% off all regular-priced Women's Items! This offer is valid online only, today, Wednesday March 16, 2016.